It’s hard to believe, but summer is right around the corner. I am excited about warmer weather, travel and more time with my family. I’m also looking forward to all of the fun events summer brings. You might even say that I LOVE them as we celebrate our week of Love here at Visit Hendricks County during National Travel & Tourism Week. Memorial Day weekend signifies the start of the summer season, and there’s no better way to spend it than at the race track. The Race Before the 500 happens Friday, May 27, and features plenty of fun and excitement. It all happens on the Lucas Oil Raceway oval track, where you can always see all the action, no matter where you sit. More than just a fish fry, this family event has rides, games, live music, and a fireworks show. 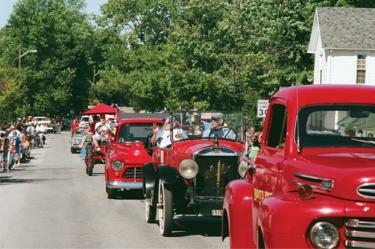 Mark your calendar for June 9-11, and enjoy an event that has been a staple in Hendricks County for more than 65 years. Car lovers won’t want to miss the Slamology Custom Car Show and Music Festival. Come out to Lucas Oil Raceway June 11-12 to see some amazing cars, and even enter your own custom ride! You can also enjoy live music from a wide variety of bands. If art is more your style, check out Glass Artists in Action. You can watch local artist Lisa Pelo and other glass artisans create one-of-a-kind pieces, and learn what goes into creating glass art. This unique experience is happening June 17-18 at Hot Blow Glass, Ltd. in Clayton. Summer is the perfect time to enjoy some ribs, and there’s no better place to do it than at the Hendricks County Rib-Fest, held at Kingsway Christian Church in Avon. 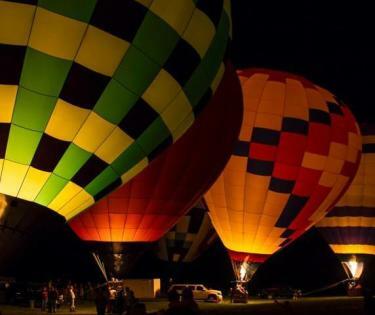 This event has tasty ribs, a 5k run/walk, and new this year a balloon glow and tethered balloon rides. It’s where you’ll want to be on June 25! Another great event for car lovers is Crusin’ in Coatesville. This car show is a celebration of classic cars, with lots of fun for the whole family. My favorite feature is the unique, hand-made awards given to car show winners. You can see all the sweet rides on July 16 in Downtown Coatesville. July also brings the Festival of the Arts to Hendricks County at Brownsburg’s Arbuckle Acres Park. This art show held on July 16 highlights the work of more than 150 artisans and craftsmen with a wide variety of artwork available to view and purchase. You’ll see everything from paintings to pottery to photography. I look forward to the Hendricks County 4-H Fair every year. Fair food, rides, games, and animals – who could ask for more? Don’t miss this great, week-long Hendricks County tradition happening July 17-23 at the Hendricks County Fairgrounds in Danville. If you’ve never experienced the power and intensity of the U.S. Nationals, you are missing out. The biggest event in the National Hot Rod Association&apos;s season, this drag racing spectacle brings speed and excitement to Hendricks County. Celebrate the end of summer by heading out to Lucas Oil Raceway on Labor Day Weekend, Aug. 31-Sept. 5. You can also celebrate Labor Day Weekend the old-fashioned way, at the North Salem Old Fashion Days, Sept. 3-5. This event boasts the largest parade in the county, as well as all the elements of a great festival: live music, great food, a fun run, a car show and even a horse pull in a small-town atmosphere unlike any other! These are my “can’t-miss” events of the summer; what are yours? 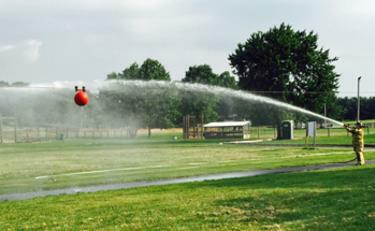 Leave a comment and let us know what you can’t wait to do this summer in Hendricks County. You can always find new ideas on the Visit Hendricks County Events Calendar!